Pastor Zach Terry equips leaders to effectively steward the stewards in their organization. He is known for his ability to teach complex ideas in simple terms with practical implications for life and ministry. He holds a Master’s Degree from the Southern Baptist Theological Seminary, which selected him as the recipient of the Westminster John Knox Press Award for excellence in preaching and teaching the Christian scriptures. In 2016 he was honored as one of the Connect Faith’s, “Agents of Change“. 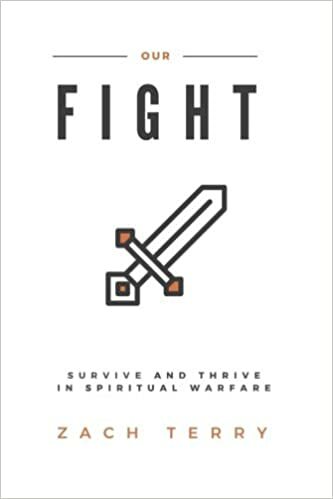 Pastor Zach is the author of the book “Our Spiritual Battlefield”. He has been a guest contributor for the Alabama Baptist Newspaper and the Lifeway Stewardship Blog. Pastor Zach has served Churches in Alabama, Kentucky and now Senior Pastor at the First Baptist Church of Fernandina Beach, on Amelia Island, FL. A bent toward forward thinking motivates Pastor Zach to actively engage in a variety of social media platforms, which has taken his ministry to an audience far beyond its local impact. The Maximum Life Podcast can be heard around the world. Most importantly, Pastor Zach is a family man. His wife, Julie, is a photographer and owner of Julie Terry Photography. They are the parents of Carly, Cole, and Caitlyn Terry. For more information about Zach Terry visit www.zachterry.org.